Eiffel Tower is, without a doubt, the most popular monument in the world. It also happens to be one of the most romantic sights in the world, located in the most romantic city — Paris. Most people who travel to Paris seek to visit the Eiffel Tower and its glowing beauty at night, and it’s everyone’s dream to stay at a hotel near the Eiffel Tower, perhaps in a place so that the tower is visible from one of the rooms even! As such, Champ de Mars, the area in which the Eiffel Tower is located, has a large number of hotels. If you’re visiting Paris, it should be your priority to find a hotel in close proximity to the Eiffel tower. 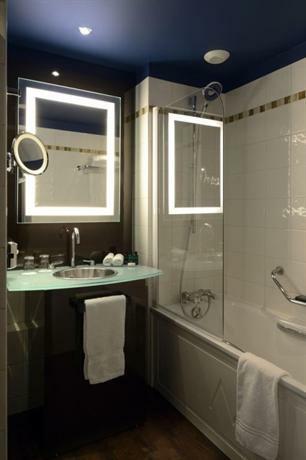 As such, we’ve listed out the top 10 hotels in Paris located near Eiffel Tower. Pullman Paris Tour Eiffel is one of the nearest hotels to Eiffel Tower. In fact, it’s located right next to the Eiffel Tower and you can look out at the tower’s splendor and beauty from your very own balconies! Even though this hotel is located so very close to the Eiffel Tower, it’s still hidden away in a quiet side street so that it’s relatively more peaceful than the main Eiffel Tower street. In addition to the Eiffel Tower, you’re also located close to the Quai Branly tribal art museum, which is located opposite to the Eiffel Tower. 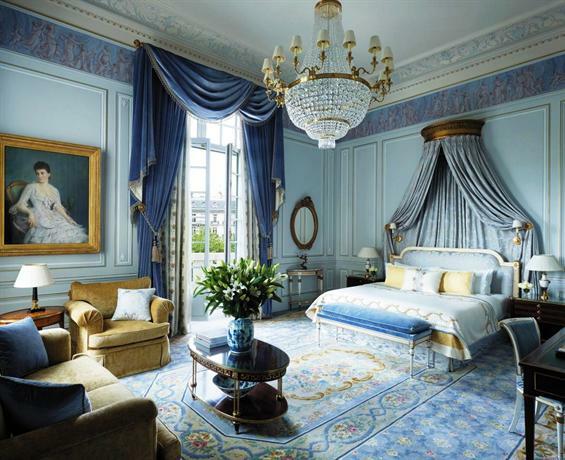 There are 456 rooms and suites in this hotel and as such it’s quite massive by Parisian standards. The hotel is designed in an elegant and sleek style, features some great restaurants, and also comes with its own vegetable garden. 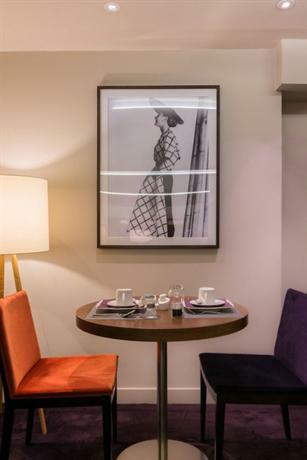 There are various business facilities and 23 meeting rooms in the hotel, however it remains firmly rooted as a family hotel due to its proximity to the Eiffel Tower, which renders it into one of Paris’ most popular hotels. The bedrooms in this luxury hotel either enjoy a view of the Eiffel Tower or they look out at the vegetable garden at the rear of the building. As such, if you want the coveted view of the Eiffel Tower, you should book your rooms accordingly. The rooms feature full-length windows so you can always look out at the Eiffel Tower, and some even come with balconies. If you want the best Eiffel Tower view in the hotel, you’ll have to pay for the most expensive and grand room — the Eiffel Suite. This luxury hotel is located just down the street from the Eiffel Tower. To be precise, the Eiffel Tower is approximately 400 meters from the Mercure Paris Centre Tour Eiffel Hotel, and it will take you a short 2-minute stroll to find yourself standing under its formidable structure. In addition to the Eiffel Tower, Mercure Paris Centre Tour Eiffel is also within walking distance to the Bir Hakeim Metro Station which connects you to the rest of the city. The Champs de Mars is also in the same area as the Eiffel Tower, so staying in this hotel is really a two-birds-one-stone situation. If you’re looking for somewhere to eat out, you can try out Jules Verne Restaurant, which also enjoys a view of the Eiffel Tower. As far as the interiors of the hotel are concerned, every fiber of it screams Eiffel Tower chic. It’s designed in a minimalist style with faint purple accents. The headboards behind the beds in the rooms feature murals and pictures of the glittering Eiffel Tower at night time. 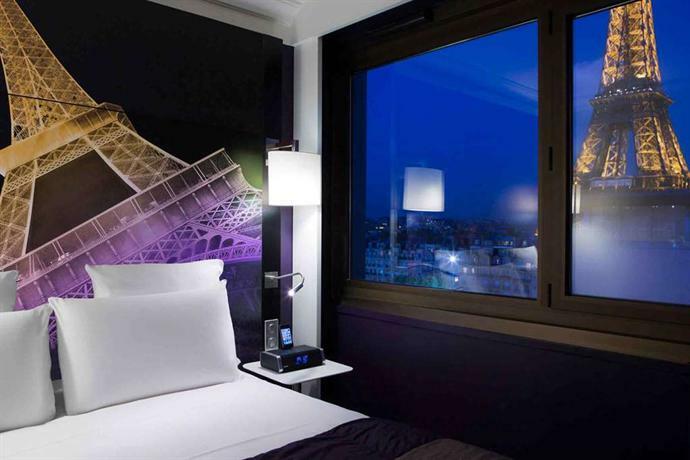 Furthermore, several of the rooms come with full-sized windows that enjoy a sweeping view of the Eiffel Tower as well. If you want a good view, you’ll have to shell out some extra money, but it will be worth it. The Bar in this hotel is another great feature as it’s designed in a stylish manner with blue lighting and pink neon Eiffel Tower models all around. The in-house Quinze T restaurant serves French dinner, whereas the breakfast is buffet style in typical American fare, and you can enjoy it out on the terrace as you, again, enjoy a view of the Eiffel Tower. Shangri-La Hotel Paris is located on 10 Avenue D’Iéna, just across from the Seine, and it enjoys a grand and stepping view of the Eiffel Tower, which is just about 700 meters away from the hotel. You can very easily walk down the street, cross the Seine and reach Eiffel Tower in a few minutes. This is one of the grandest hotels in Paris, which is befitting as it used to be a mansion owned by Roland Bonaparte, the botanist and great nephew to Napoleon Bonaparte. There are 101 rooms and suites in the hotel, all of them designed in a classical style featuring accents of golden, beige, and grey shades. The most lavishly decorated suites in the hotel are the Imperial suite and the Modern Penthouse Suite, both of which come with large terraces with a grand and direct unobstructed view of the Eiffel Tower. Derby Alma is located at 8, Avenue Rapp, in Paris. It’s a grand 4-star hotel located about 500 meters from the Eiffel Tower. In fact, the best aspect of this hotel is its location, which is just a short stroll away from two of Paris’ biggest tourist attractions — Champs-Élysées and the Eiffel Tower. The hotel, from the outside, looks like quite a bit like a townhouse. The interiors are fairly luxurious and the bedrooms in the hotel are minimalist with a color palette featuring red and grey aesthetics. The bedrooms come with a little private balcony that enjoys a view of Eiffel Tower a little in the distance. It’s not an unobstructed view of the hotel, as it isn’t too high and there are several other buildings in the way, however, it can be quite romantic at night when the tower glows up. Eiffel Rive Gauche is located in the 7th arr. neighborhood, approximately 600 meters from the Eiffel Tower. A short 5-minute stroll down the street will bring you right next to the Eiffel Tower and Champs de Mars, and as such it’s a great 3-star budget hotel for you. The hotel itself is designed in a dense red and brown aesthetic, and all the rooms are also decorated in a warm color palette. 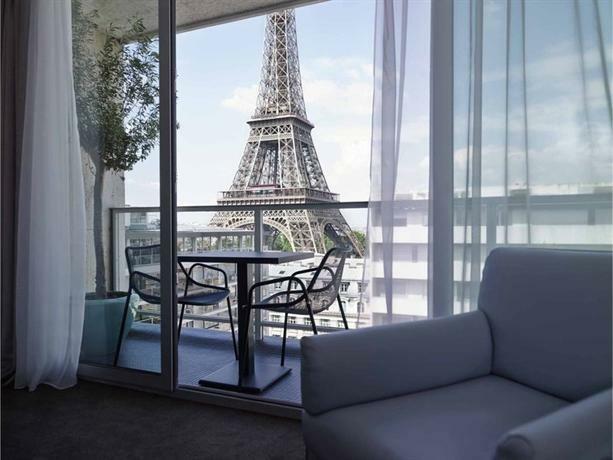 Some of the advanced rooms and suites in the hotel also come with private patios that enjoy a view of the Eiffel Tower. This hotel also offers a complimentary buffet breakfast of pastries and cheese. Le Relais Saint Charles Paris isn’t as close to the Eiffel Town as some of the previous hotels mentioned in this list. It’s located in 15th arr., approximately 900 meters from the Eiffel Tower. As such, it will take you about a 15-minute walk to reach the Eiffel Tower and Champ de Mars. The River Seine is also quite close, about 600 meters away. The rooms in the hotel are well decorated in a color palette of neutral and earthy shades. Some of the rooms even come with full-length windows through which you can see the Eiffel Tower standing in the distance. Le Parisis - Paris Tour Eiffel is also located in the 15th arr. neighborhood, about 1 kilometer and a 15-minute walk away from the Eiffel Tower. The River Seine is about 800 meters from the hotel. All the rooms in the hotel are designed in a cool color palette featuring steel-greys, slight reds, and blues. Some of the rooms come with windows that offer you an outlook of the city with the Eiffel Tower looming imperiously in the distance. 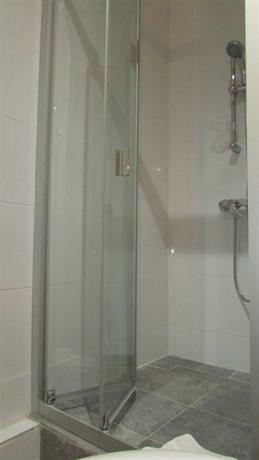 The private bathrooms in the hotel either come with a bath or a shower. Furthermore, the hotel also offers a complimentary American breakfast buffet and has a bar open for cocktails enjoyed on the terrace. Residence Champ de Mars is located approximately 800 meters from the Eiffel Tower and Champ de Mars, which is about a 10 to 15 minutes walk away. 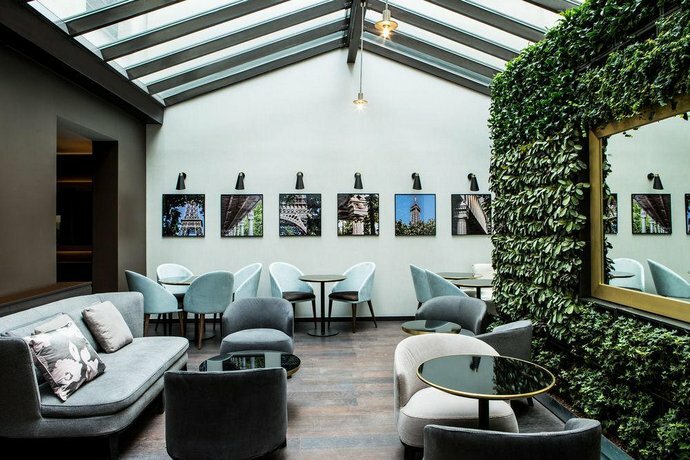 This hotel also comes with a private garden and it’s about 5 minutes away from La Motte-Picquet-Grenelle Metro Station, which can connect you to the rest of the city. The rooms in the hotel are designed in a townhouse style, with whitewashed walls, and furniture that’s a mix of grey and maroon. If you choose your room wisely, you can get a nice view of the River Seine with the Eiffel Tower standing beyond it. 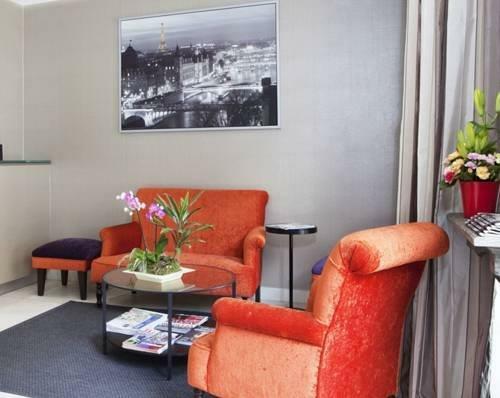 Mercure Paris Tour Eiffel Grenelle is located in Boulevard de Grenelle, on the popular 15th arr. neighborhood. The Eiffel Tower is just about 900 meters from the hotel and you can get there with a short 10 to 15-minute walk. The closest metro to this hotel is the Dupleix Metro Station, which is just a minute away, and it can connect you to the rest of the city. The rooms in this hotel are designed in a quirky and artistic style featuring a lot of intricate patterns on the rugs and walls. Le Marquis Eiffel is located on the 15th arr. neighborhood, approximately 800 meters and 15 minutes away from the Eiffel Tower. In addition to the Eiffel Tower, it’s also a short 10-minute walk from the Trocadero Gardens. 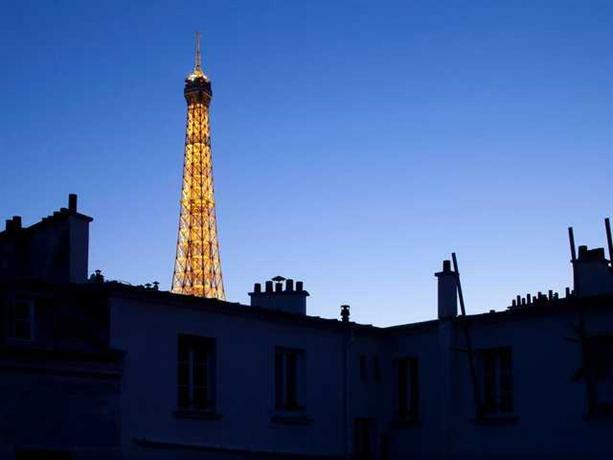 Being in the middle of the city, none of the rooms offer an unobstructed view of the Eiffel Tower. However, you can enjoy your breakfast on the outdoor terrace from which you can see the Eiffel Tower looming in the distance. The rooms in the hotel are all designed in a uniformly modernist and minimalist style with a color palette featuring greys, white, and slight accents of blue.